In music, the roles of celebrity and icon don’t always go hand in hand. Take, for example, Van Dyke Parks, a composer, writer, and musical luminary who’s spent the majority of his star-studded career behind the scenes. With eight solo records to his name — and a handful of singles under his belt — Parks is often cited as one of music’s most innovative creators. No doubt that’s why Beach Boy Brian Wilson first sought him out in 1966 to record the ill-fated Smile. It’s also why the two have maintained their creative relationship to this day. This Tuesday, fresh on the heels of the four-decade-delayed release of Smile, Parks takes to the stage at SOhO Restaurant & Music Club (1221 State St.) for a night’s worth of material that stretches the spans of his illustrious career. At 69, Parks has a résumé that reads like an eclectic who’s-who of American music making. In the ’60s and ’70s, he worked alongside everyone from David Crosby and Harry Nilsson to Frank Zappa and Loudon Wainwright III. And in more recent years, Parks has aligned himself with some of indie’s more notable names (Danger Mouse, Joanna Newsom, and Silverchair, just to name a few). In addition, he’s kept busy scoring films and television shows, including his son’s recent Music Man Murray, which screens Tuesday evening as part of the Santa Barbara International Film Festival. As a solo artist, Parks is all about reinvention. His records span the gamut from Americana, bluegrass, and ragtime to progressive art rock, and his live set is certain to touch on everything in between. In addition, Parks’s recent collaboration with Wilson to complete Smile is sure to inform his performance. In short, this is a piece of musical history-making that you don’t want to miss. 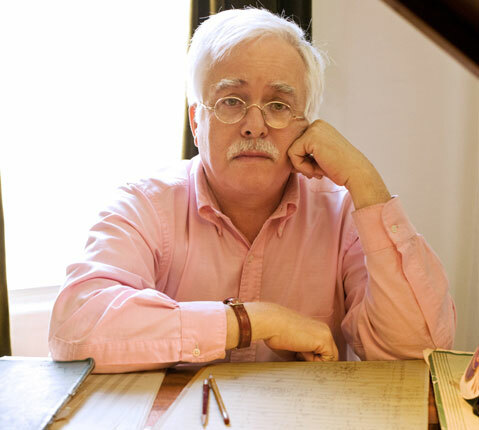 Van Dyke Parks plays an all-ages show at SOhO on Tuesday, January 31, at 8 p.m. For tickets and info, call 962-7776 or visit clubmercy.com.